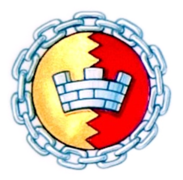 The Birmingham Big Art Foundation is the charitable trust behind the Project. "I was delighted to be asked to chair the Trustees of the Foundation. I can speak for each of the Trustees when I say that we take our responsibilities for the financial governance of this high profile initiative very seriously. Supporters of the Project need absolute confidence that the funds being advanced are safe and are being applied towards the Project. The Trustees understand the difference this art work could make to the City and with a healthy balance of scrutiny and enthusiasm are proud to be involved and totally committed to seeing the Project through to its successful completion." The Secretary to the Trustees is Jamie Justham. He can be contacted by email at: . Michael is senior partner at Gateley LLP, a top 50 law firm with a Head Office in Birmingham and five other offices located in London, Manchester, Leeds, Nottingham and Leicester. He has more than 25 years' experience in corporate law, advising private and public companies and private investors. Proud of his West Midlands roots, Michael takes a personal and professional interest in the prosperity of the City and was delighted to be invited to chair the trustees of the Birmingham Big Art Foundation. He has influence among all the major business bodies in the Greater Birmingham area and is a past president of the Greater Birmingham Chamber of Commerce. He is a former president and treasurer of the Birmingham Law Society and former chairman of its Young Solicitors Group and Trainee Solicitors Group. Michael is also the current chair of the Midlands Corporate Finance Charity Event Committee. Robin, a Chartered Accountant is a Partner in Edgbaston based JW Hinks. He leads the Healthcare department of the firm and is a member of the National Association of Specialist Dental Accountants and Lawyers. He also has responsibility for the SME services offered by the firm. He is a Trustee and Honorary Treasurer of the Birmingham Civic Society. He is a past Chairman of Sandwell Junior Chamber of Commerce and for five years was Chairman of his local Residents Association. 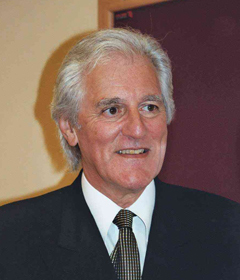 Anthony Collins was the founding partner of Anthony Collins Solicitors and retired in 2003. He was elected President of the Birmingham Law Society in 2002 when he promoted the 'Advised in Birmingham' initiative to promote Birmingham professionals. He was also a founding trustee of ChaplaincyPlus which serves the Birmingham City Centre business community, and until 2102 was a Vice President of the Birmingham Civic Society and Chairman of the Council of Birmingham Cathedral. Besides his interest in fly fishing, Anthony's interests are Birmingham focused. He republished the life of William Hutton in 1998, and is currently writing the history of Birmingham's nineteenth century builders, John Bowen & Sons, who built the Birmingham Victoria Law Courts in 1887 and many of Birmingham's iconic buildings. Stephen is an IT Consultant located on a customer site in Colmore Row, opposite Snow Hill Station. He is a professional Member of the British Computer Society (the chartered institute for IT in the United Kingdom). 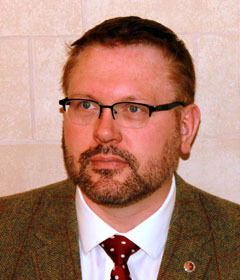 Board Member and Trustee of the Birmingham Civic Society, for which he chaired the Planning Committee from 2001 to 2007. Stephen was also founder member and the first Chairman of Birmingham Trees for Life (2005-2007) which planted its 10,000th tree in the city in 2011. Stephen has chaired the Public Art Committee of the Civic Society (2002-2007 and 2012 to date) and successfully campaigned for the installation of the original railings around the statue to Lord Nelson in the Bull Ring; the restoration of the Joseph Sturge statue at Five Ways, Edgbaston (raising half of the money required, with the Sturge family) and the removal, restoration (to include new bronzes) and re-location of the Edward VII statue (Albert Toft, Grade II, 1913) to the city centre, in Centenary Square in 2010. He is also Churchwarden of the Parish of St Augustine of Hippo, Edgbaston. Previously Consultant Gynaecologist at Birmingham Women's Hospital and Senior Lecturer at the University of Birmingham. Founder of the European Federation for Colposcopy, an organisation which was formed in 1999 to reduce deaths from cervical cancer, particularly in Eastern Europe. The Federation now has 34 member countries. Joe is a Trustee of Moseley Rugby Club and Churchwarden of the Parish of St Bartholomew, Edgbaston. 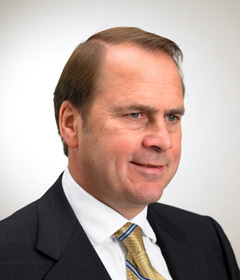 Glyn Pitchford until 2010 represented the business community, serving on the Birmingham, Coventry and Black Country City Region Board. Until recently he represented the RICS on the Business Voice West Midlands Council. Glyn is a well known businessman in the West Midlands having been Senior Partner of James & Lister Lea merging the practice with BK, Chairman of BRMB/Capital Gold Radio, Chairman of Countrywide Homes and Chairman of an environmental business, Envirotreat, serving also on the Council of Aston University and their Finance and Estate committees. 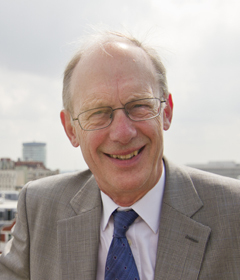 He was a vice-chairman and trustee of the Birmingham Civic Society until November 2013 when he resigned his position to concentrate on steering The Birmingham Big Art Project, becoming a trustee of this newly formed charitable trust. 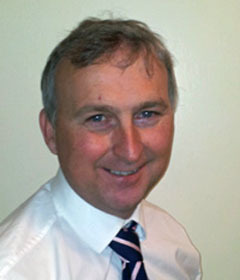 Glyn is a practicing Chartered Surveyor Arbitrator running his own consultancy firm. Councillor Ian Ward is the Deputy Leader of Birmingham City Council. 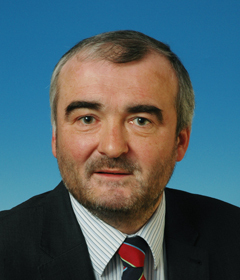 Ian first joined the City Council in 1995 and has been Deputy Leader of the Labour Group since 2005. He represents the Shard End ward. He has been an active member of several key committees including the Council Business Management Committee and was Labour's lead scrutineer on the Overview and Scrutiny Committee. 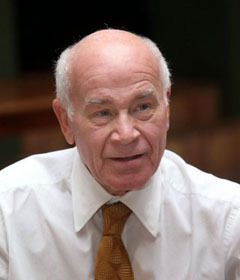 Prior to 2004, Ian was Cabinet Member for Leisure, Sport & Culture.